My name is Roland Sulzer. I am a wedding photographer in Salzburg (Austria). My work is commonly described as natural, candid, elegant and simply beautiful. Working with me is funny and more like being with a carrying and coaching friend than a vendor. "Best wedding photographers from all over Austria." I see weddings as the culmination of people photography. No moment comes a second time, repetitions do not exist. One must reflect upon a situation in real time, assess the light and take the right location. Without hesitation one must prepare the camera to capture that special moment. My images give you the feeling of belonging to something greater. As we take wedding pictures that show you in relation to your loved ones. It's no secret that pictures trigger memories and invoke emotions. 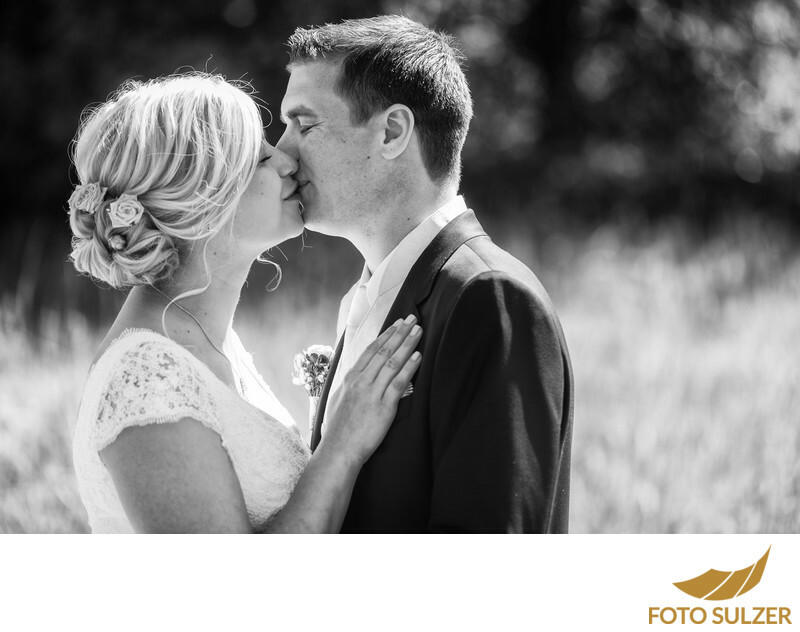 As a wedding photographer we create images not only for the moment. As aprofessional photographer I take pictures in order for the future couple, and their children to be able to relive these great moments of the wedding together, 20 years later. Great wedding pictures that show you in relation to your loved ones are not shot easily, they must be created. Each customer receives his pictures entirely hand processed and retouched. The post-processing of images for our clients is just as important to us as the on site photography. As a wedding photographer I am serving Salzburg, Munich, Vienna, and whole area of Austria and Bavaria. Because you are on my website, chances are that you are engaged and getting married in Austria or Germany. I would love to take your wedding photos in Salzburg, Munich or Vienna. The rest of my website is in German but have a look around and let my photos speak to you. I speak English fluently and will gladly answer every question you might have. Just get in touch and let us talk about your wedding plans: Contact me! I have worked as a wedding photographer, among other countries, in all of Austria and Germany. Visualizing the strong emotions and capturing the memories of the wedding day is just as important to the me as to the bride and groom themselves. The wedding day represents the founding of a new family and together with their families and friends the bride and groom celebrate this big step together. At every wedding two photographic approaches are to be combined: Photojournalism and posing. Therein lies the documentation of the great day. The photographer captures memories for the emerging family. The photographer lends to the bride and groom his view. The photographer has his way of looking at the wedding but it is important to tell the story form the viewpoint of the two spouses. "I cannot tell you how excited I am to see our wedding photos. They are so stunning! Thank you so very much. Therefore, it is in my opinion so important to pursue this photography with enthusiasm and dedication, since only then will the viewpoint and with this the images of the photographer correctly reflect the future memories of the couple . Ideally this part is taken care of in the invisible. And then there is the second part. When taking photographs of the couple as well as with the group shots, the photographer evolves into the role of a director. Here the photographer must bring his or her entire experience with lighting, composition, posing and dealing with people into the picture. This is the time when the photographer purposely must appear. The photographer him- or herself now becomes part of the wedding. Before the couple has even seen a single photo, it already knows to evaluate the photographer based on this cooperation. Thank you, we look forward to the photos!". Here old school photography meets digital image processing . Each wedding photo is filtered and retouched by hand. Whether in color or black and white, you'll enjoy the results: as a digital file, slide show, image or photo paper book or album. I am based in Salzburg, but is of course available for wedding photography throughout Austria and Germany. Customer satisfaction is my top priority. I look back on a multitude of satisfied spouses. Zankyou has recommended me twice - in its gallery "Best wedding photographers from all over Austria" and the article "The top wedding photographers and videographers from Salzburg" . Engaged and looking for your wedding photographer? Contact me to talk about your wedding plans!